Glasgow International Airport (GLA) is located approximately 13 km west of the city centre of Glasgow and is the city’s principal airport and main direct long haul and transatlantic entry airport into Scotland. 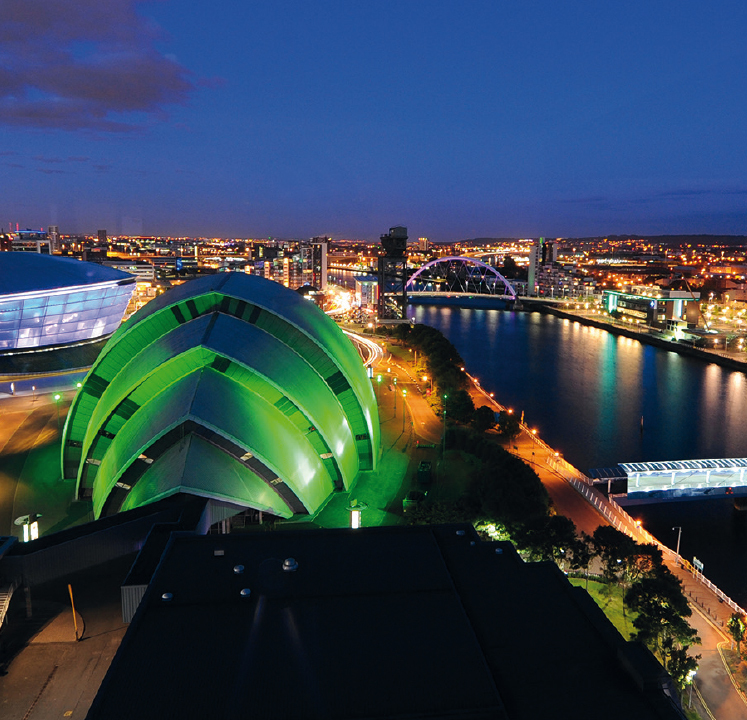 Once you arrive in Glasgow at the airport, there are several options to head into the city centre. The fastest service is the “Glasgow Airport Express”. This express bus shuttle service offers buses up to every 10 minutes and it takes only 15 minutes to arrive in the city centre. Lufthansa Group Partner Airlines offer a comprehensive global route network linking major cities around the world.They special prices and conditions to participants of the 52nd ESPGHAN Annual Meeting. To make a reservation, please click here and enter the access code DEZQYPG in the "Offer for discounted flights" area. This will open an online booking platform that will automatically calculate the discount offered or provide you with an even better offer if another promotional fare is available. If you are travelling by train to Glasgow, you will arrive at Glasgow’s central railway station „Glasgow Central“. The railway station is in the heart of the city and offers onward travel throughout the whole city via bus, train and subway services. From Glasgow Central, the congress venue is only a five-minute train ride away.